• Park Hours: Daily from 6 a.m. to 3 p.m.
• Park Admission: $10 for adults; $5 for children; free for children 4 and under. SCOTTSDALE – Smatterings of red thorns against green flesh brighten the otherwise monotonous desert backdrop. Shriveled flowers from succulents that only bloom once a year litter the living labyrinth. Red plastic tags adorn each species, a reminder of the geolocation program the caretakers use to check up on each of the residents. 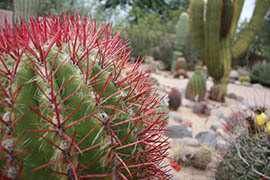 A normal tour of Wallace Desert Gardens and its 9,000 desert plants takes two hours. Along the way visitors will see endangered and rare species from Mexico, Central America and even Madagascar that the late H.B. Wallace assembled in his backyard over 25 years. With an endowment that kept this 18.5-acre north Scottsdale property afloat expected to run out in the next decade, those overseeing it faced a choice as they laid plans to sell: allow Wallace’s collection to wither or find the plants a new home. Thanks to an agreement with Arizona State Parks, the latter is happening. In the coming years, aloe, boojum trees, crested saguaros and more will move more than 70 miles to Boyce Thompson Arboretum State Park near Superior, and what once was available only to private tours allow into this gated community will be on display for the general public. The Wallace men were major players in U.S. agriculture for generations. Henry C. Wallace founded the American Farm Bureau. Henry A. Wallace was vice president under Franklin D. Roosevelt and helped teach Americans how to farm after the Dust Bowl and Great Depression. Henry B. Wallace, creator of Wallace Desert Gardens, made his fortune pioneering industrialized egg production and hybrid poultry. Henry B. Wallace moved to Arizona to play tennis in his retirement, according to Brownson. 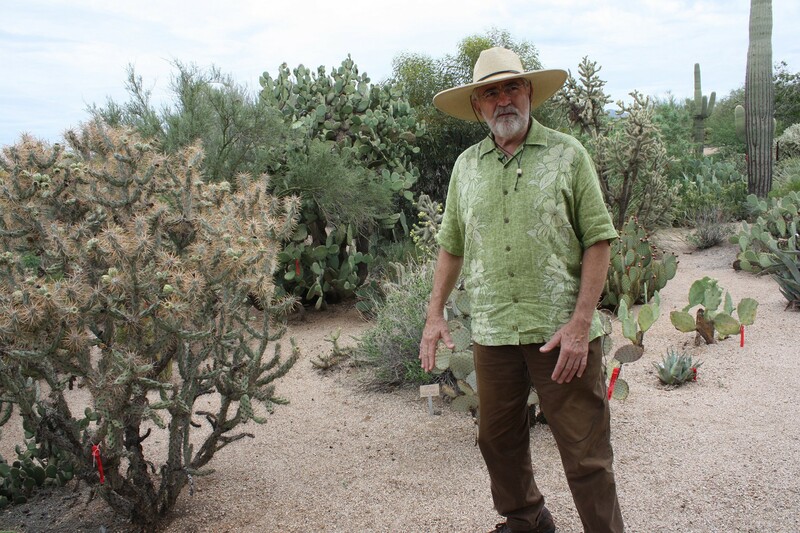 He became enamored with cactuses and succulents and started collecting rare kinds. He purchased this north Scottsdale property to accommodate his space-consuming hobby and eventually had 2,000 varieties of plants on the grounds. Wallace created an endowment to maintain his garden after he passed away in 2005, but it wasn’t enough. The board of directors for Wallace Desert Gardens decided to spend the remainder, as well as income from selling the property, to allow the plants to thrive somewhere else. Mark Siegwarth, executive director at Boyce Thompson, estimated that the project will take three years. However, it will be another six to nine months until the facility is ready to take the plants. About 15 acres will be added to Boyce Thompson Arboretum for what will be known as the Wallace Collection. Siegwarth said trails need to be built, irrigation systems created and topography mapped before a single plant is moved. Brownson said about half of the 9,000 plants on the Wallace property will be moved to Boyce Thompson. Boyce Thompson was a good fit for the plants for a few reasons, including similar elevation, Brownson said. But a more important reason was keeping the plants together as Wallace intended. Though the Desert Botanical Garden expressed interest, Brownson said it didn’t have the necessary land. “Boyce Thompson was able to show us that they had 13 acres that would be devoted specifically to Wallace plants,” he said. Siegwarth said he hopes the Wallace Collection will also boost park attendance and tourism for Superior. 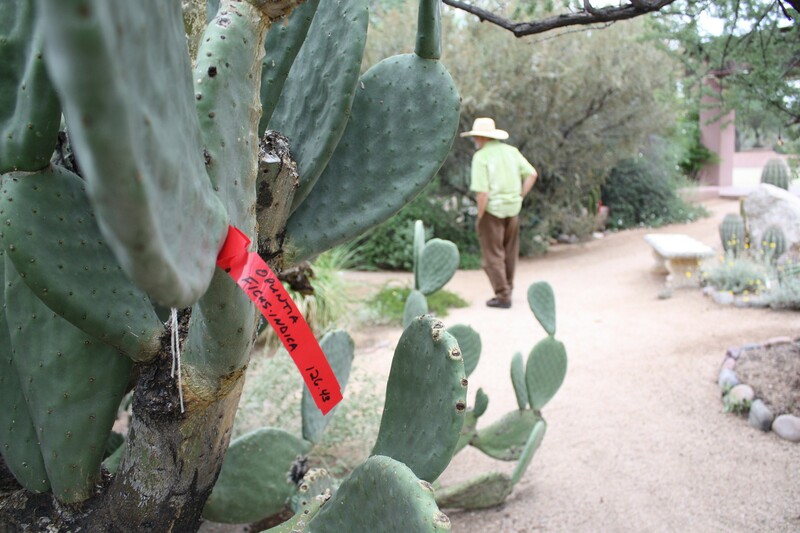 As the largest and oldest botanical garden in the state, Boyce Thompson sees roughly 80,000 visitors annually. 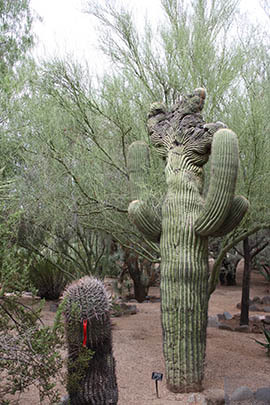 With the additions, Botanic Gardens Conservation International estimates Boyce Thompson will be in the top 100 gardens globally and top 25 in the United States for species diversity. Desert plants currently part of the private Wallace Desert Gardens in Scottsdale are being relocated to Boyce Thompson Arboretum State Park. Reporter Kayla Wall tells us why. 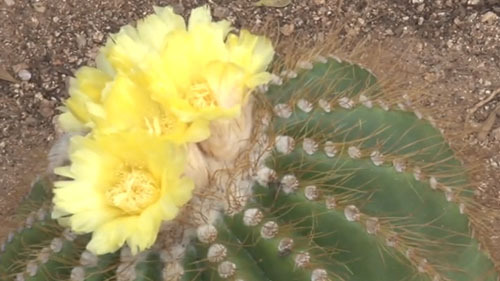 About half of the 9,000 plants that make up Wallace Desert Gardens in a north Scottsdale gated community are moving to Boyce Thompson Arboretum State Park in Superior. Lee Brownson, executive director of Wallace Desert Gardens, said the agreement to relocate much of the collection to a state park stems from an endowment created to sustain the collection of Henry B. Wallace running out. "We wish we didn’t have to do this, but it is what it is," he said. Crested saguaros are among the collection in Wallace Desert Gardens, which agricultural magnate Henry B. Wallace created over 25 years on 18.5 acres. 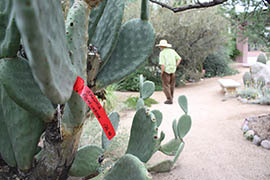 Red plastic tags adorn each species in Wallace Desert Gardens, part of the geolocation program the caretakers use to check up the plants.